This week’s Power Food is Lemons! Now that summer is coming to a close the cooler days are ahead, luckily it’s still hot out though. No other fruit pairs with hot days like Lemons! Lemons are believed to be a hybrid between a sour orange and a citron. 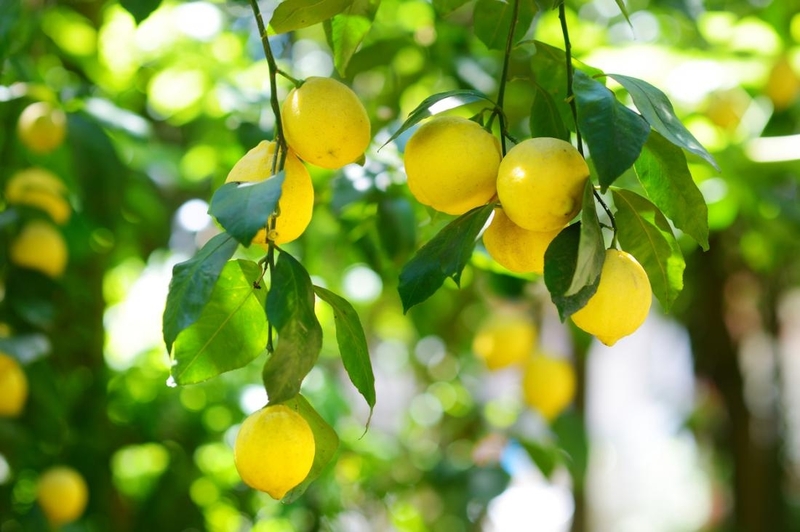 The lemon is an evergreen tree, it blooms a white flower and produces fruit all year round. Each tree can produce between 500 and 600 pounds of lemons a year. Lemon juice is the main ingredient of lemonade. The sour taste of the juice also makes it ideal for squeezing on fish, while slices of lemon or lemon rinds are used as a garnish for many other foods and drinks. Due to its high acidic nature, the juice of a lemon can be used for cleaning. Lemon halves dipped in salt or baking powder can be used to brighten up copper and clean kitchenware. Lemons rank very close to oranges in vitamin C content. So if you’re choosing between flavoring your food with lemon or orange peel, or adding lemon or orange juice to a dish, you can’t go wrong with either one. But in some ways comparing lemons to oranges is, well, like comparing apples to oranges – because you’re not likely to eat the two fruits in the same way. Vitamin C is important for keeping body tissues, such as gums, bones, and blood vessels in good shape. C is also key if you get a cut or wound because it helps you heal. This vitamin also helps your body resist infection. This means that even though you can’t always avoid getting sick, vitamin C makes it a little harder for your body to become infected with an illness. Historically, vitamin C was used for preventing and treating scurvy. These days, vitamin C is used most often for preventing and treating the common cold. Even today, the British Navy requires ships to carry enough lemons so that every sailor can have one ounce of juice a day. Lemons are the Power Food of Healing Powers, for their help in keeping body tissues in good shape! 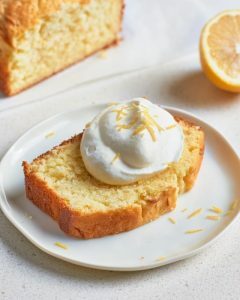 Our friends at Juice Plus shared with us this delectable recipe for a Simple Elderflower Lemon Cake with Elderflower Whipped Cream! This specific recipe makes 1 (9×5-inch) loaf. Arrange a rack in the middle of the oven and heat to 325°F. Lightly grease a 9×5-inch loaf pan and line with parchment paper. Set aside. In the bowl of an electric mixer fitted with the paddle attachment (alternatively, use an electric hand mixer and large bowl), cream the butter and sugar on medium speed until very pale and fluffy. Mix in the lemon zest. In a small bowl, beat the eggs together. Gradually add the eggs to the butter and sugar mixture (about 1 teaspoon at a time), beating well after each addition. It may take up to 5 minutes to slowly and completely incorporate the eggs. Whisk the flour, baking powder, and salt together in a bowl. Sift a quarter of the flour mixture into the bowl and gently fold with a spatula. Repeat until all the flour is incorporated. Pour the batter into the prepared pan. Bake in the oven until a tester comes out clean, about 60 to 70 minutes. Remove from the oven and cool, in the pan, on a cooling rack for 10 minutes. Combine heavy cream, elderflower cordial or liqueur, and sugar (if using liqueur) in the bowl of a stand mixer fitted with the whisk attachment. (Alternatively, use an electric hand mixer and large bowl). Beat on medium-high speed to stiff peaks. Slice the cake and top with a dollop of the elderflower whipped cream.